Today’s media decries the loss of several people to an Influenza virus and, while it is lamentable, there was a time when a flu virus was incredibly more deadly. The Spanish Flu pandemic of 1918 infected an estimated 500 million people worldwide (about a third of the planet’s population) killing an estimated 20 to 50 million – 675,000 of whom were Americans, including 43,000 military. It also broke many AOH divisions nationwide since, at the time, they paid sick and death benefits to members. World War 1 had claimed an estimated 16 million lives, but the flu killed more than three times as many. As the devastating war came to an end, people faced an unseen enemy killing faster than any illness in recorded history. No country was prepared for such an onslaught, least of all Ireland! As if it wasn’t hard enough for Republicans to be looking over their shoulders for British retaliation in the aftermath of the Easter Rising of 1916, the first cases of a new disease appeared in Limerick City in mid-1918 – 100 years ago! No one gave it much thought at the time, yet in the coming year it would kill significantly more than 23,000 people since, at the outset, many deaths were attributed to other causes or simply not recorded as flu-related. Initially referred to as the Grippe, we now know it was an influenza virus brought to Ireland by soldiers on leave. Dr. Kathleen Lynn, of the recently defeated Irish Citizen Army, called for returning soldiers to be quarantined and their uniforms disinfected. She described the front in Flanders as a factory of fever. The flu spread quickly by the close proximity of people in crowds and in the many political rallies at the time. Protestants even rejoiced that Catholics were more susceptible since they were better church-goers and spread the disease at Mass. By October, Dublin’s Adelaide Hospital reported 497 admitted with flu, 32 of whom died. By November, Dublin was experiencing 250 deaths a week! Republican prisoners were in the worst places. Witness statements are full of mournful accounts of comrades who died of the disease in prison. In Usk Prison in Wales, six prisoners fell victim to flu in November but were not provided with a doctor until December. An escape had been planned from Usk by 30 men, but when the time came, only six were able to manage it. Sinn Féin blamed mistreatment of prisoners for the deaths and associated the epidemic with mass arrests and internment related to the alleged ‘German Plot’ which was proven to be bogus. Sinn Fein activist Ernest Blythe, in prison in Belfast, recalled that: out of the two hundred men in the prison barely thirty were on their feet by early 1919. A shortage of doctors had been created by the British who sent 3,336 doctors to the war front, so Republican women jumped in to fill the vacuum. The medical training they had received prior to the Rising, proved invaluable as they set up depots to care for victims of the epidemic. 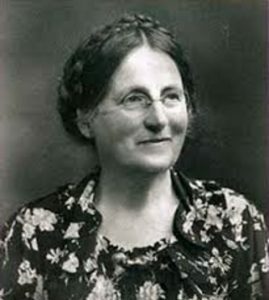 Dr. Kathleen Lynn of the Irish Citizen Army was wanted by the police and in hiding, but since doctors were so scarce, she came out of hiding to help and was arrested. She was sentenced to be deported, but the Lord Mayor and several leading citizens raised hell and she was permitted to remain in practice as long as she did not leave Dublin. She and other Republican women secured a derelict house, cleaned it up and made it as presentable as possible to use as a hospital. Countess Markievicz pitched in, Countess Plunkett brought bedding and the ladies of Cumann na mBan also contributed. They admitted flu patients and Dr. Lynn had some vaccine that they used successfully. As a tribute to their care, not one patient admitted to their hospital died! Aine Ceannt, in a witness statement noted, About this time, Ireland was visited by an epidemic of flu and Cumann na mBan members helped to nurse the sick, gratis, as nurses were impossible, to obtain. According to Eilis Bean Ui Chonaill: Cumann na mBan volunteered to nurse patients during this awful calamity. At least the members who were qualified in home-nursing were asked to help and responded magnificently to the call. There were two depots opened, one at No. 25 Parnell Square where we met on the north side of the city and one at No. 6 Harcourt Street. There was a notice put in the press announcing the hours at which members would be available. We visited patients at their homes in response to messages received at the depots. Sadly, the charity of the Republican women did not defuse the political animosity of Loyalists. Eillis Bean Ui Chonaill, reporting for duty at No. 6 Harcourt Street on the evening of the Armistice Night celebration (11 November 1918), wrote: We suddenly realized that a hostile mob were attacking the building. There were many Volunteers in the building at the time including Harry Boland and Simon Donnelly. They immediately started to barricade the front door and windows with chairs and other furniture. Soon we found ourselves hauling chairs, etc., and stacking them up against the windows and helping the Volunteers. Shots rang out, mingled with vile language and shouts of ‘God save the King!’ A state of terror reigned over the whole neighborhood until a late hour when the crowd dispersed. Despite that despicable display, the ladies persevered. In the end, the world-wide flu pandemic killed more in one year than the Bubonic Plague did in four. In Ireland, the medical training of the nationalist women of the Citizen Army and Cumann na mBan, intended to support Ireland, did indeed do just that; yet in a more significant way than ever expected. The courage of these women was a key factor in minimizing the loss of many more Irish lives. By mid-1919 the flu died out leaving no more trace of its coming than thousands of fresh graves; yet, but for the courageous actions of the Republican women of Ireland, there would have been many more. Sadly this remains a largely forgotten part of our history and it was only 100 years ago! Where is the centennial commemoration of these women?